Do you have a desire to learn to play guitar? 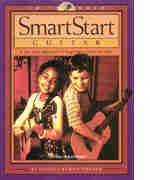 We have a great selection of Beginning guitar lessons for all those who want to learn to play guitar. 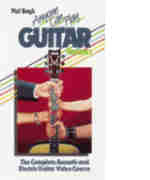 Learn the county's most popular instrument in the comfort of your own home with a beginning guitar method on book, video or DVD. 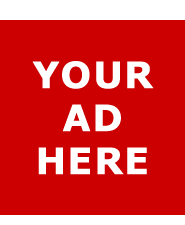 We have methods for all ages and for all styles of music. Did you ever wonder how fun it would be to jam on guitar with your friends or just play around the campfire? Well, you can learn with one of our beginning guitar methods. If you are the guitarist at a campfire sing, if you want to learn a song from a recording, or if you want to write your own songs - this book will show you the way. 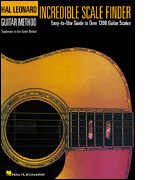 An indispensable book for the guitarist who wants to learn to improvise and accompany singers by ear, music reading ability is not required to benefit and learn from this method. Includes a DVD. Now you can get the Level 1 Book/CD Pack packaged with the corresponding DVD. It's the perfect pack for anyone who wants to teach themselves! It covers all the basics you need to start making music. 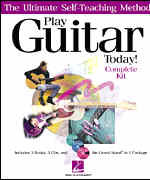 Use this DVD as a supplement to the Play Guitar Today! 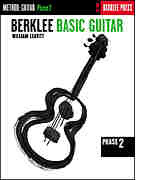 Level 1 book, or alone as a great intro to playing the guitar. Simply follow along with the songs in the booklet as you watch the teacher on the DVD. This complete guide to the basics teaches: songs, chords and riffs; picking and strumming patterns; and helpful playing tips. Five Complete Best-Selling Books In One! 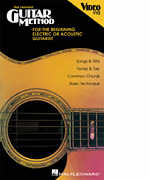 - Hal Leonard Guitar Method, Book 1 - Easy Pop Melodies - The Chord Strummer - Easy Chord Trax - Rock Trax 2 A retail value over $50 for only $29.95! 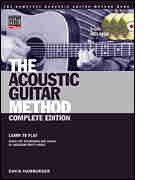 A complete collection of all three Acoustic Guitar Method books and CDs in one volume! Learn how to play guitar with the only beginning method based on traditional American music that teaches you authentic techniques and songs. This is a very popular guitar method. Its success lies in the fact that is extremely easy to understand and very flexible. It moves at a slow, steady pace and enables you to play chord accompaniments in 7 primary guitar keys! In addition, you will learn to strum blues chords and you will also begin to play fingerstyle backgrounds. This is a very popular guitar method. Its success lies in the fact that it is extremely easy to understand and very flexible. 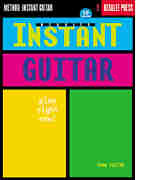 It moves at a slow, steady pace and enable you to play chord accompaniments in 7 primary guitar keys! In addition, you will learn to strum blues chords and you will begin to play fingerstyle backgrounds. 90 minute video. 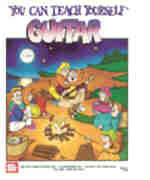 Here is a complete course that will have anyone playing the guitar in minutes! 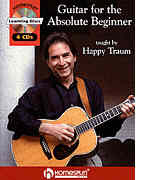 Happy Traum, one of the world's most experienced guitar teachers, has carefully designed this hands-on, step-by-step method for all age groups. All the basic chords and important picking and strumming techniques are taught. 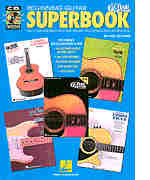 This basic textbook for the classical guitar is suited for private, group and self-instruction. This step-by-step method includes a wide variety of music and musical examples, easy exercises, an extensive introduction to reading guitar music, and clear explanations of beginning to advanced technique. If someone is singing a song or playing a melody, how can I know what chords I can play with it? This is a common question asked of guitar teachers and players. 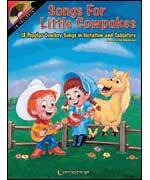 If you are the guitarist at a campfire sing, if you want to learn a song from a recording, or if you want to write your own songs - this book will show you the way..
18 popular cowboy songs in standard notation and tablature, compiled with young strummers in mind. Includes a play-along CD, historical facts, and pages for kids to color. 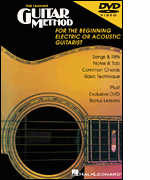 For the beginning electric & acoustic guitarist. Now learning will be even easier, thanks to this great new Digital Video Disc! 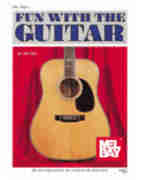 It covers: tuning, identifying the parts of the guitar, reading both standard notation and tablature, playing chords, strumming and picking, improvising basic rock solos and lots more. An excellent beginner's video featuring Joe Carr teaching simple chords, strums, and songs. 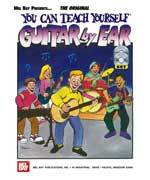 An ideal beginner's course for guitarists of any age. Vern Juran has played and taught guitar professionally for over twenty years. His course presents beginning acoustic and electric guitar students with a practical, easy-to-learn approach. No previous knowledge of music is necessary. This course for acoustic and electric guitar is designed to follow our Volume 1 video and continues it its easy, step-by-step approach. Again, music reading ability is not necessary to learn the material in this course. You will learn both E and A-form bar chords with their major, minor and minor seventh fingerings. 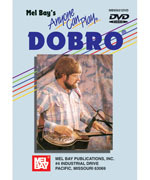 Taught by Paul Hayman, a teacher with over 20 years experience, this DVD is designed to teach the basics of Dobro playing to the beginning student. No previous musical experience is needed to be successful with this method. 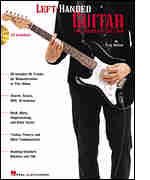 Guitar from the Beginning is a quick and clear way to learn basic guitar. Instead of standard music notation, it uses a simpler system called "newtab." Newtab shows in a very clear wat the most important aspects of guitar playing - timing and pick direction. 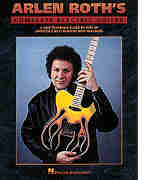 Easy Beginner Guitar Instruction on DVD. 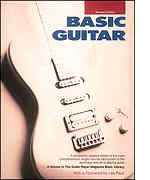 Since its first publication several years ago, the original edition of Basic Guitar has taken its place as one of the most comprehensive, single volume introductions to the technique and art of playing guitar. Now this invaluable resource has been completely updated and revised with outstanding new materials. 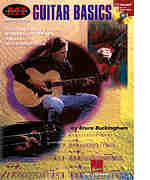 Designed for anyone just learning to play electric or acoustic guitar, it covers: tuning up and parts of the guitar, reading both standard notation and tablature, playing chords, strumming and picking, improvising basic rock solos and lots more, with helpful on-screen music, guitar diagrams, and hand-position close-ups. 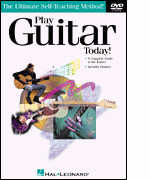 Packed with music, charts and photos, this easy-to-use guidebook provides lessons for playing electric and acoustic guitar by some of the guitar world's top teachers � pros like Arlen Roth, Rick Gartner, Happy Traum, and Dan Crary. Topics range from the basics to "getting serious." 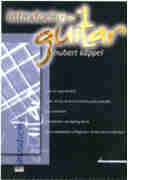 A modern method ideal for all beginning guitarists, studying individually or in a class. Technique and reading skills are developed through two-, three- and four-part ensemble arrangements of traditional and newly composed music. 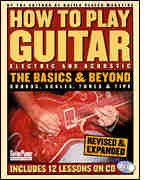 Also includes an introduction to chord playing. 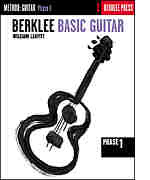 A continuation of Phase I, this volume is ideal for beginning to intermediate guitar students or classes ready to progress beyond the basics. It includes solo, two-part, and three-part ensemble arrangements of traditional and contemporary music to help players create a unique and personal sound. 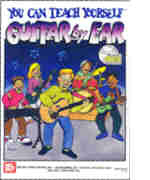 No matter what your level of musical knowledge, this book/CD pack is a fun method for students of all ages who want to start playing the guitar. 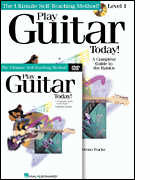 Features simple lessons and tips on theory and technique, strategies to help you understand the guitar and develop your own guitar parts. 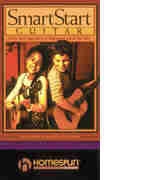 A fun, easy approach to beginning guitar for kids. Every kid wants to play guitar, and this innovative new instructional method lets them do just that! 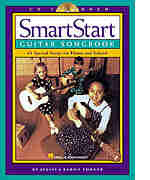 It's designed for use in the general music classroom, and is developmentally structured to get all beginning guitar students playing and singing from the very first lesson. A self-teaching guide by one of America's best players and teachers. 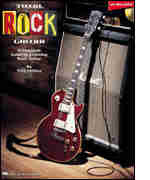 Includes chapters on: fundamentals, rhythm guitar techniques, early blues and rock n' roll styles, playing electric lead guitar, electric country guitar, equipment, and much more. This pack gives essential instruction on open chords, barre chords, power chords, strumming; scales, rhythm playing, the blues, and moveable chord shapes. 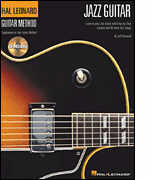 It includes inversions, 'color' chords, practice tips, chord charts, songs, and progressions. Every kid wants to play guitar, and this innovative new instructional method lets them do just that! It's designed for use in the general music classroom, and is developmentally structured to get all beginning guitar students playing and singing from the very first lesson, no matter what their level of experience. 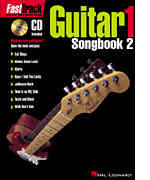 Total Rock Guitar is a unique and comprehensive source for learning rock guitar, designed to develop both lead and rhythm playing. 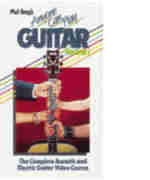 A companion volume to Jessica Barron Turner's bestselling method book, this excellent guitar songbook/CD pack features 43 special songs for home and school, in arrangements designed to help beginners of all ages begin to hear, feel and remember the music. This excellent supplement to the Fast Track instruction books includes 8 favorite songs in "rock score" format: Evil Ways - Gimme Some Lovin' - Gloria - Have I Told You Lately - Jailhouse Rock - Time Is on My Side - Twist and Shout - Walk Don't Run. Perfect for playing with a band, or solo with the CD. A supplement to the FastTrack instruction books, this great songbook/CD pack features 8 great songs: All Day and All of the Night - Best of My Love - Day Tripper - Hey Joe - I Shot the Sheriff - Miss You - Smoke on the Water - Surfin' U.S.A.. Perfect for playing with a band, or solo with the CD. A fun, easy guitar songbook and CD with full-band backing tracks designed especially for today's kids, featuring cool songs from great rock bands. 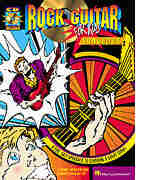 This book is a companion to the instructional book Beginning Rock Guitar for Kids, but also works as a stand-alone songbook. Featuring in-depth lessons and 40 great jazz classics, the Hal Leonard Jazz Guitar Method is your complete guide to learning jazz guitar. 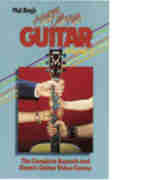 This book uses real jazz songs to teach you the basics of accompanying and improvising jazz guitar. 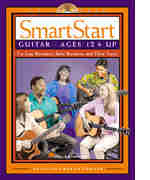 Following in the footsteps of the successful SmartStart method for young children, this latest addition to the series is the ultimate user-friendly guitar method and songbook for older kids and adults who have always wanted to play guitar! 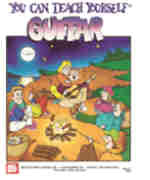 The book contains 17 classic and timeless songs � complete with lyrics. Attention all Southpaws: it's time to turn your playing around! We're proud to announce that our groundbreaking guitar method solely devoted to lefties is now available with a CD! Complete with photos, diagrams and grids designed especially for the left-handed player.